After a long, tiring day what you crave for is your couch. Your kids often spend hours and hours on the sofa. The sofa is not just a piece of furniture, but it is something that takes away the exhaustion of the whole day. Each member of the family, including, the furry family members rest on the couch. Thus, it has to be clean and hygienic. The sofa is also one of that furniture that quickly gets dirty. Also, it stinks if you don’t clean your sofa on a regular basis. Thus, sofa cleaning is important and has to be done from time to time. You can enjoy professional sofa cleaning services offered by cleaning companies. The Well trained technicians come to your house, examine the sofa and clean it with the best sofa cleaner that is most suited for your sofa type. You can also clean your sofa on your own on a weekly or bi-weekly basis to keep it clean and stain free. The most used method by housewives for sofa cleaning at home is to use the vacuum cleaner. It takes away the grime from the couch, but some people don’t like to use the vacuum cleaner for sofa cleaning process. Also, some stains and grime don’t go away by a vacuum cleaner. So, what to do? 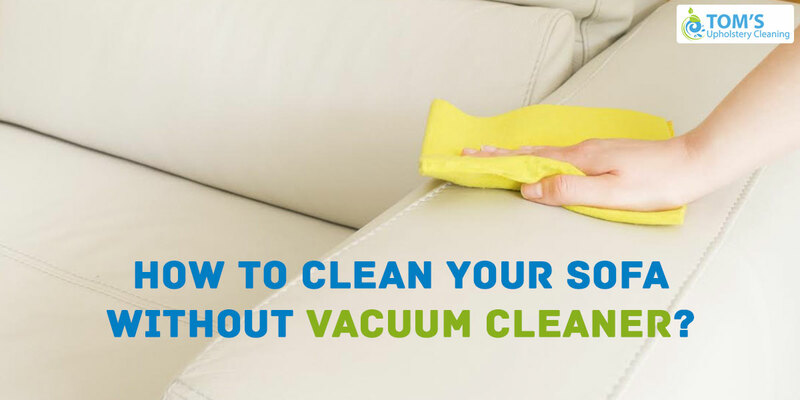 How to clean sofa at home without vacuum cleaner? 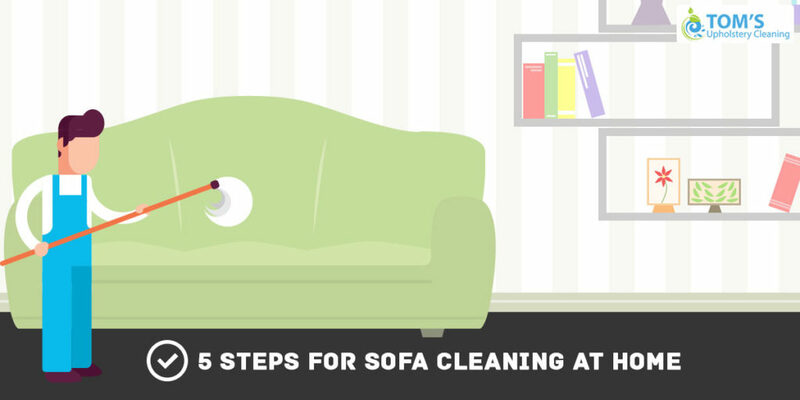 Step 1: Take a clean cloth or stiff brush and wipe down your sofa. It will take off the dust from the surface. Step 2: Take bicarbonate soda and sprinkle it on your sofa. If the stain is very soiled or if it is stinking, you can create a sofa cleaner by mixing the bicarbonate soda in a dry carpet cleaner. In this case, sprinkle this sofa cleaner mixture on your couch. Step 5: Take a clean cloth and wipe down sofa once again. This is an effective sofa cleaning process and can be done easily by anyone. It is advisable to keep your family members away while you are cleaning the sofa so by mistake they don’t get in touch with the sofa upholstery cleaner or interrupt the sofa cleaning process. Cleaning couch at home is convenient and good, but it is not a permanent solution. You must use the sofa cleaning service offered by the professional companies to take off the bacteria and grime that can’t get cleaned by you or that is away from your sight. In the long run, it is advisable to take help from Toms Upholstery Cleaning Melbourne to take off the nasty grime and clean the bacteria away from your sight.